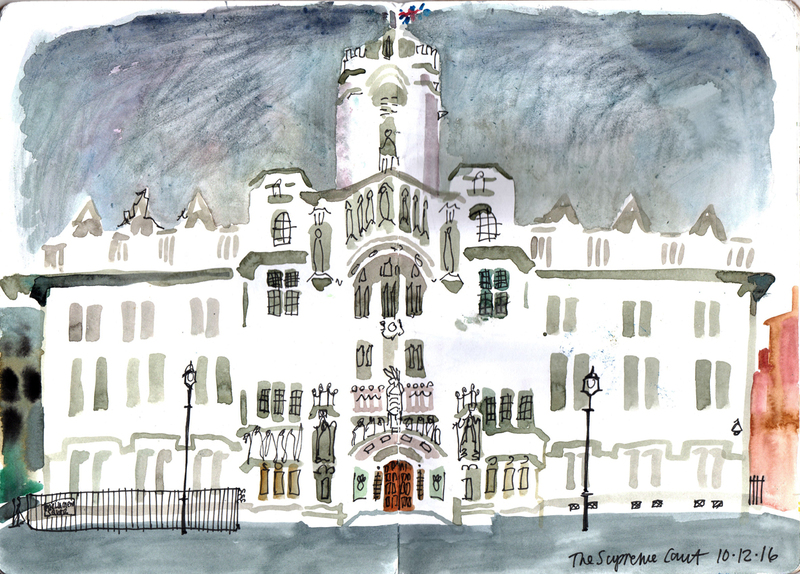 [By Lis Watkins in London] This is the Supreme Court building in London, drawn on a grey Saturday, last weekend. It’s been in the news after a challenge was made against the Government’s authority, following the referendum to leave the EU which took place in the summer. 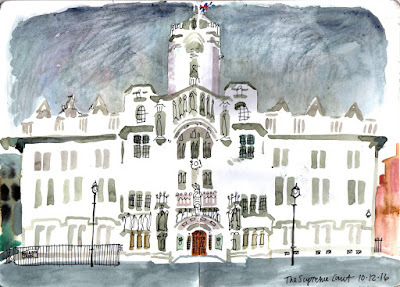 The judges there heard the case last week and the decision is expected in the New Year. Leaving the EU will probably the most momentous political event in the UK in my lifetime and who knows what it will lead to? It’s been a strange year.